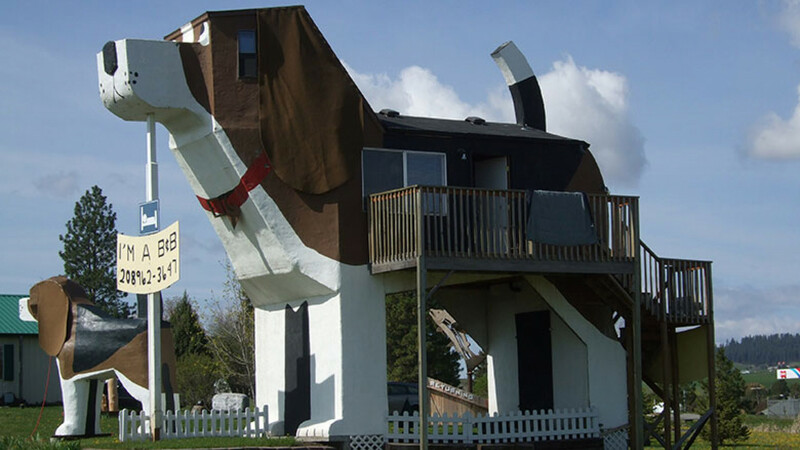 Idaho's Dog Bark Park Inn gives the phrase 'sleeping in the doghouse' a whole new meaning, mainly because you'll be sleeping in a giant wooden beagle. Idaho's Dog Bark Park Inn gives the phrase 'sleeping in the doghouse' a whole new meaning, mainly because you'll be sleeping in a giant wooden beagle. The hotel, created by a dog-mad chainsaw artist, doesn't stop at just the exterior though – the inside is full of miniature dog art. You'll be pleased to know that real-life dogs are welcome too.